Update October 2016: The UC essay questions have changed! Please read this post for more information about the new personal insight questions. 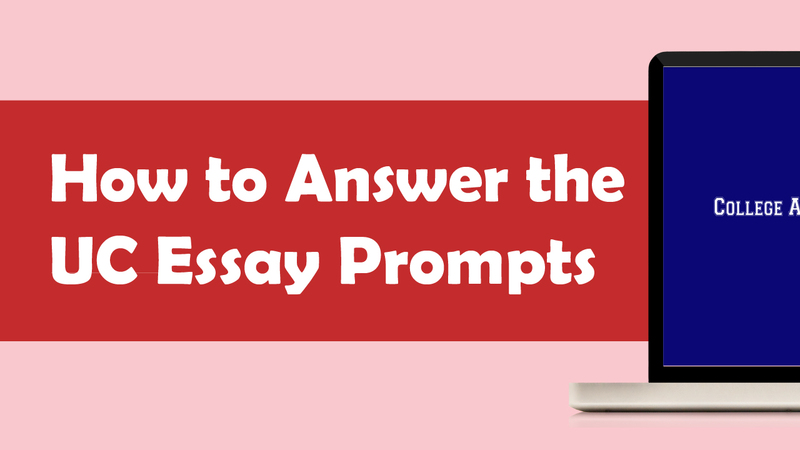 Every year, many of my students have some difficulty with the UC essay prompts. I decided to make a video to talk about some of the most common questions my students have about the UC prompts and how I answer them. The UC system has always had one main application that all of the campuses share. in order to apply for undergraduate admissions. is greater than two hundred and fifty words. Describe the world you come from. shaped your dreams and aspirations. experience that is important to you. to the person you are? ask all the questions that add up in their heads. I thought you might benefit from some of the answers. think will help you start brainstorming. So to summarize number one is really asking who will you become. have helped shape who you want to become? english teacher, maybe a politician, or a church leader. Then they say well Danielle, what’s number two really asking then? is who are you now. be more related to your personal statement on your other applications. experience, through a story through an anecdote. the one that’s closer to three hundred to four hundred words. told you that in the directions. I would just advise using one as a longer essay and one as a shorter one. make sure it answers it properly. even more difficult to locate the essay questions.